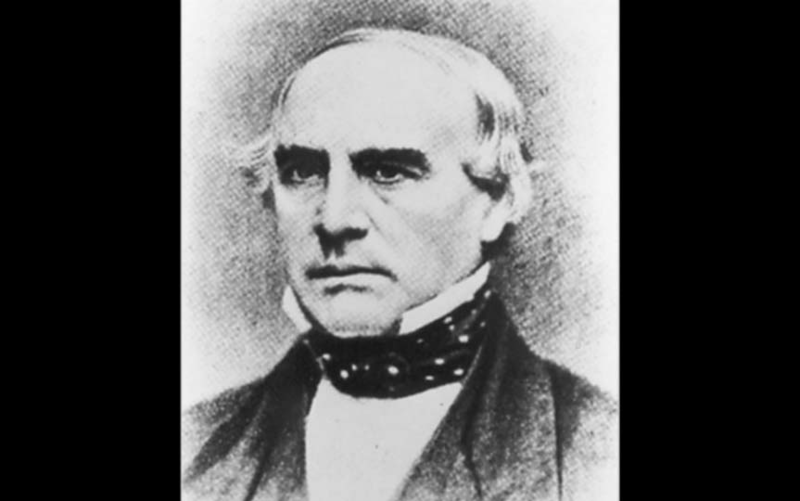 John Butterfield was born in 1801, in Berne, New York. Despite being raised on a farm, the effects of new technologies like the steamboat, electric telegraph and steam locomotive were known to the young man destined to be one of the young republic’s greatest entrepreneurs. Because of a high birth rate and steady immigration from Europe, the population of the United States shot from around five million people in 1800 to more than 23 million in 1850. That swift growth, along with depressions in 1819 and 1839, then a rush for gold in 1949, sent settlers and explorers west, in search of a better life. The westward expansion had been kicked off two years after Butterfield was born, in 1803, when President Jefferson completed the Louisiana Purchase, an addition of some 828,000 square miles that nearly doubled the size of the country. At the early age of 19, Butterfield had already become a professional stage driver, and in a short time had saved enough money to buy a livery business. He was well thought of by his employees and in the community, a natural leader with a vision that matched the rapid progress and expansion of the country, Butterfield was a natural businessman who knew how to make a profit, but also had a conscience for the public good. In 1850 he contacted his two main competitors, Henry Wells and William Fargo, and talked them into merging their companies with his own Butterfield & Wasson Company. This was the beginning of American Express, which began as a transportation company and grew into the worldwide organization today that provides travel-related and insurance services, as well as international finance operations and banking. Not long after the new company was formed, Wells, who was the first president of American Express, along with Fargo, believed the company needed to expand west, clear to California. Their fear was that their main competitor, Adams and Company, would beat them to it and develop a monopoly. Most of the American Express board was against the idea, so Wells and Fargo went ahead with the plan on their own, while remaining as officers and board members of American Express. Five years later, in 1857, Butterfield was awarded a contract to deliver the mail from St. Louis to San Francisco. He guaranteed he could do it in 25 days, for which his Butterfield Overland Stage Company would be paid $600,000 for a six-year contract. Butterfield had a year to get set up and began hiring frontiersmen who had experience with the Indians. He also had to lay out the best route, which began in Tipton, Missouri, just west of St. Louis. From there the trail traversed through Arkansas, Texas and on to California. Over the next two and a half years the Overland Mail made two trips each week, delivering passengers and mail from east to west. The fare for the one-way journey was $200. The Overland Mail Company prospered for a short while, until faster, more economical methods, like the Pony Express and Western Union came into existence. They lost the mail contract and it wasn’t profitable just transferring passengers cross country. Butterfield was eventually forced out and moved back to New York, where he died after a stroke in 1869. That same year, the transcontinental railroad was completed, which signaled the end of the stagecoach. The National Park Service recently submitted its final Butterfield Overland Trail Special Resource Study to Congress and is waiting to see if it will be recognized and funded as a National Historic Trail. Many towns, like Fayetteville, have an Old Wire Road among their streets. These began as part of the Osage Trace, the trail used by Native Americans for migration during hunting seasons. 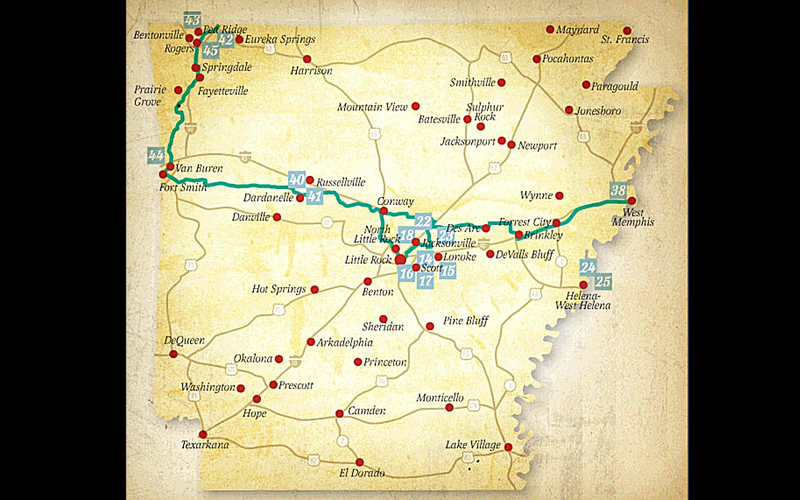 By 1836, the part of the trail that extended from Versailles, Missouri to Fayetteville, Arkansas became known as “The Fayetteville Road,” which is what was used by Butterfield Overland Mail Route. During the Civil War, the road was referred to as “The Military Road,” and was used by troops to move between Missouri and Arkansas. After the War had ended, it was referred to as “The Wire Road,” due to the telegraph wires. From the 1840ws until 1877, the telegraph was the fastest way to transmit news and messages across the country. Sources: Arkansas Encyclopedia of History and Culture, ocregister.com, parks.ca.gov, The History Channel, Desert USA, USPS History. 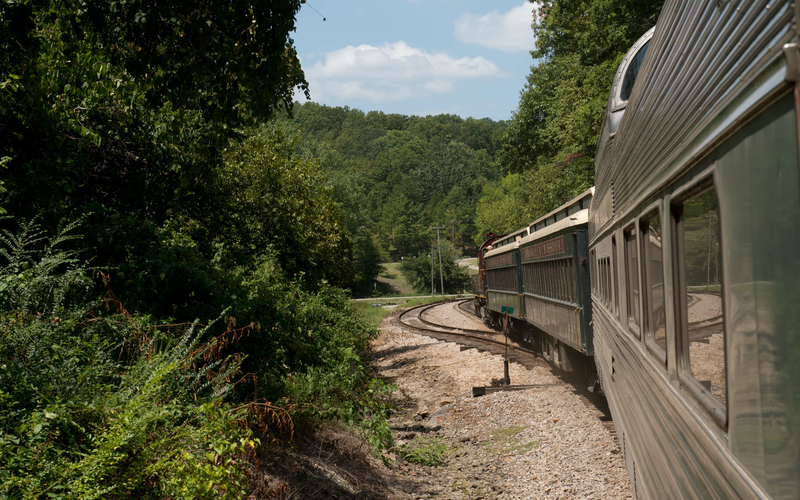 The Butterfield Overland Trail includes nearly 2800 miles - a portion of which passes through Arkansas. 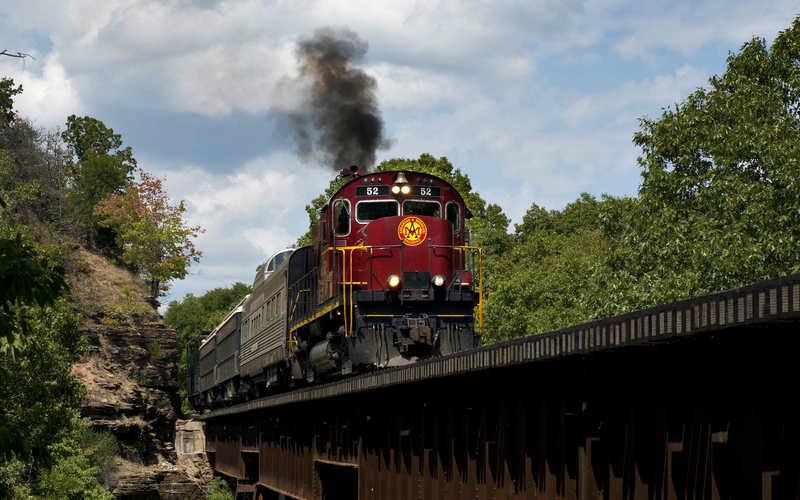 The trail could have its historical status recognized by Congress soon.